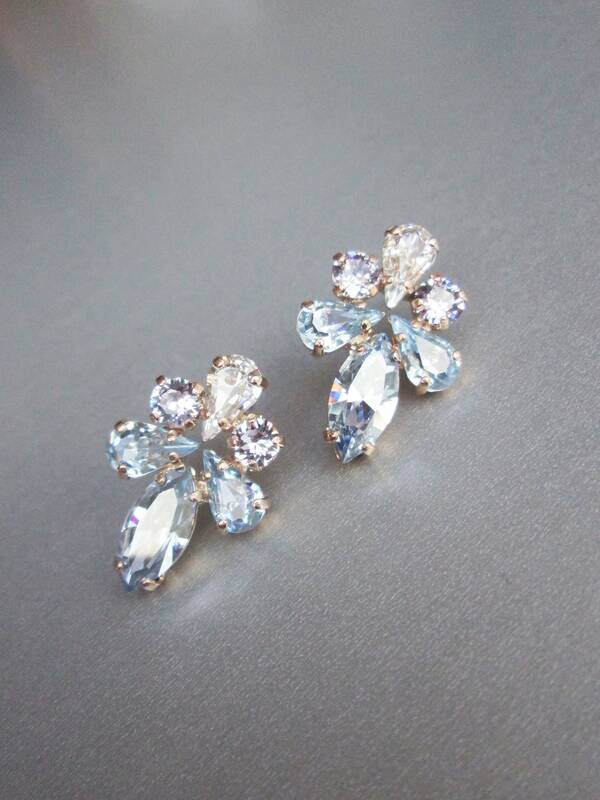 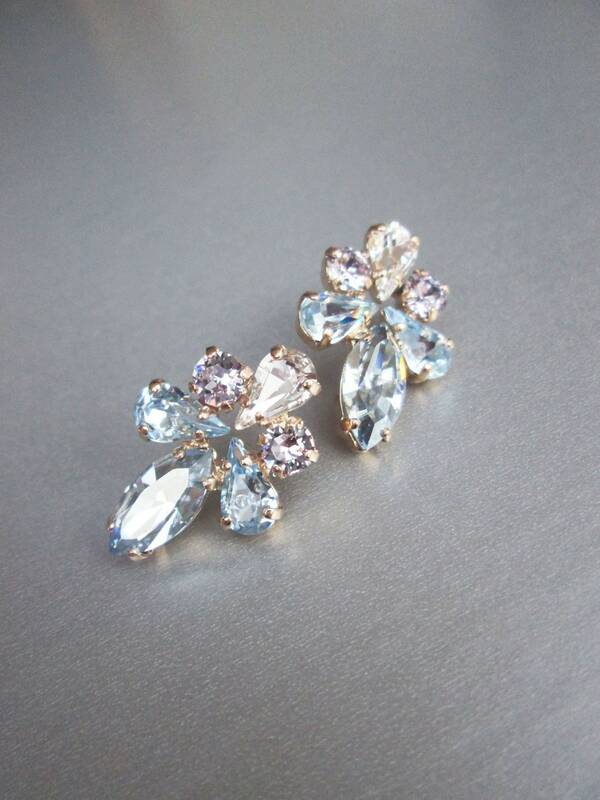 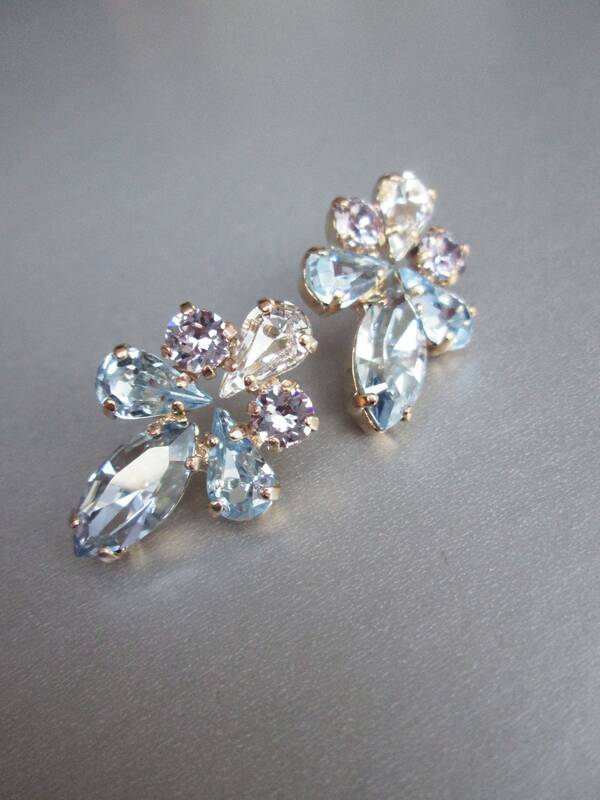 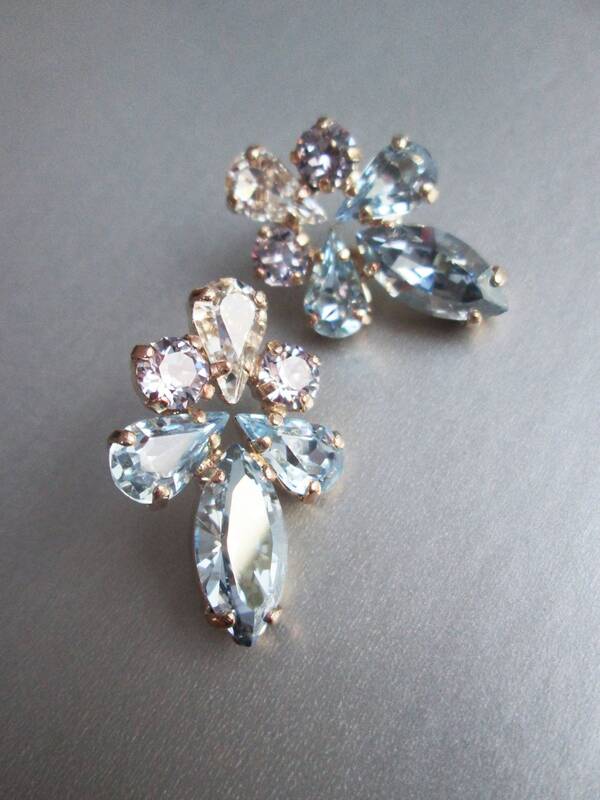 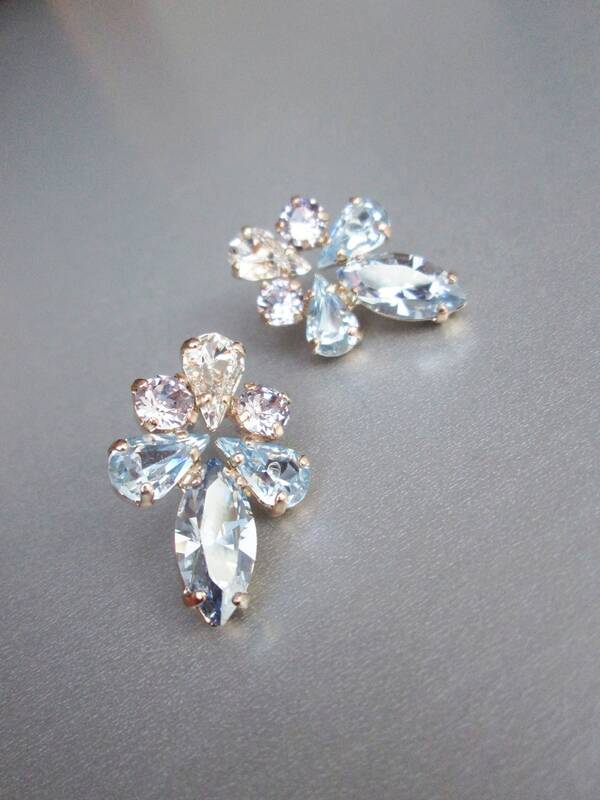 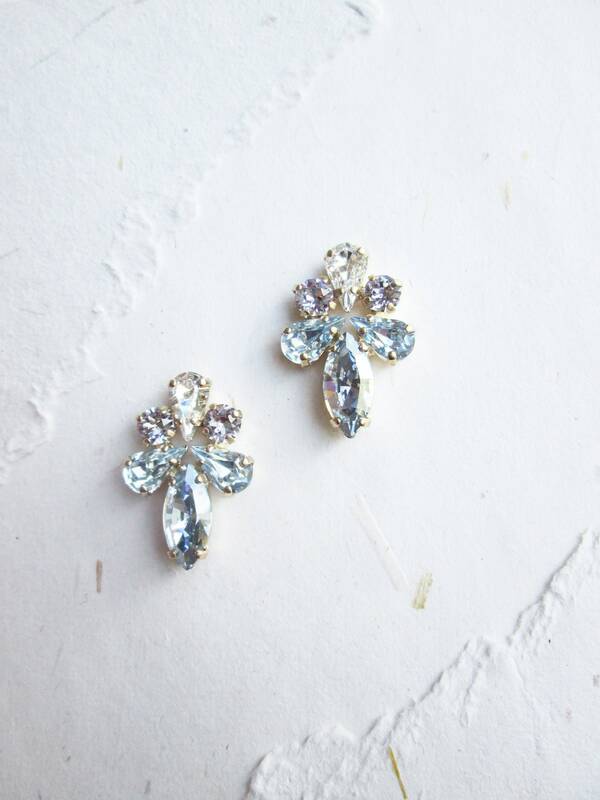 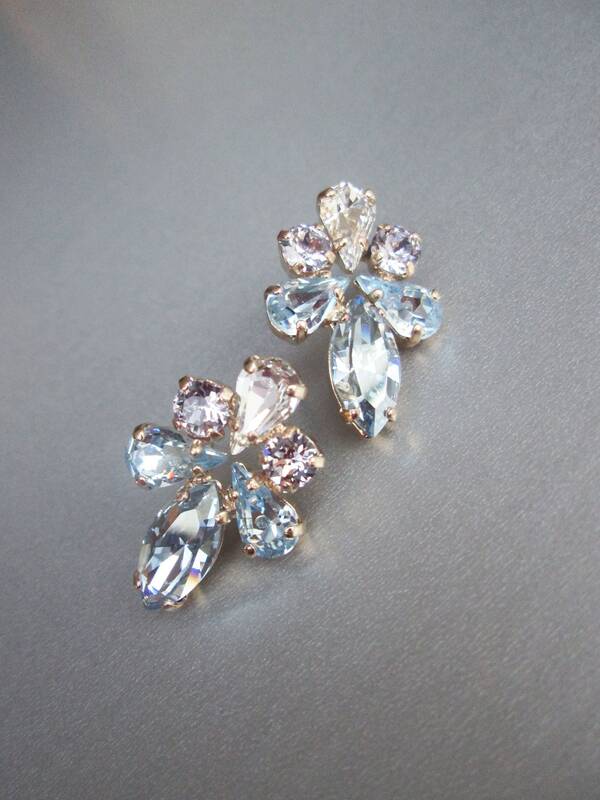 These romantic earrings are made with the finest Swarovski crystals in pale blue hues with the a touch of pale lavender. 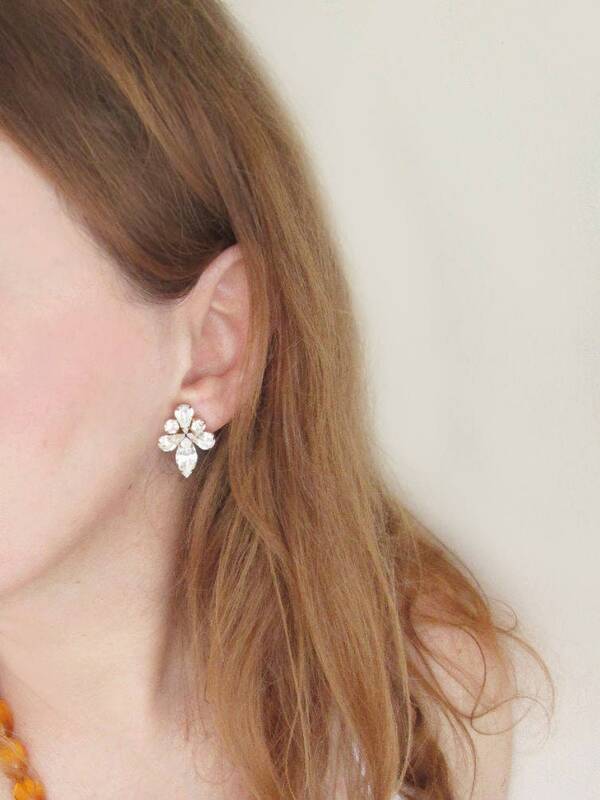 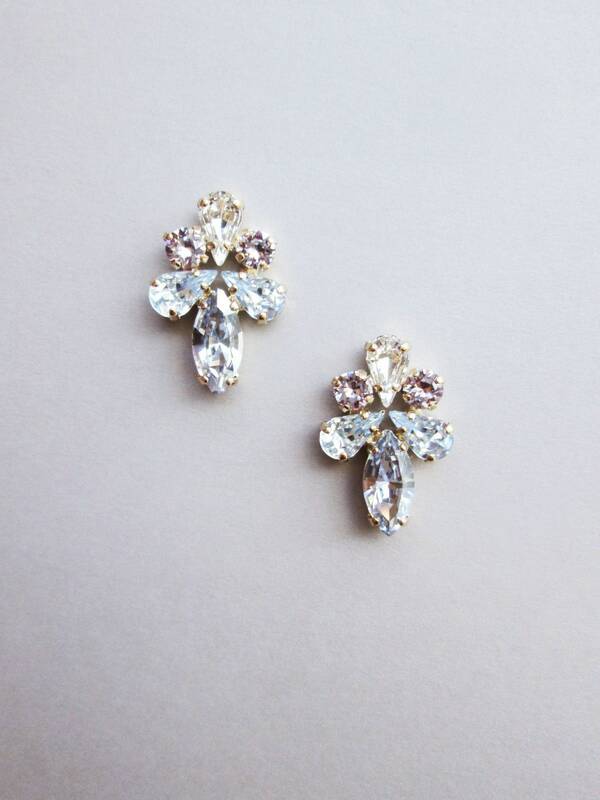 These earrings are available in gold, silver and rose gold finish. 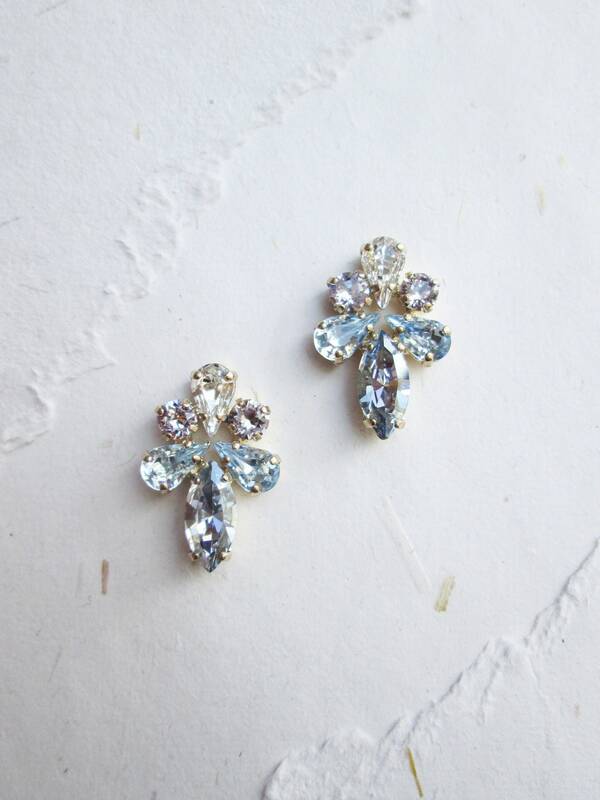 Post earrings with metal backs.